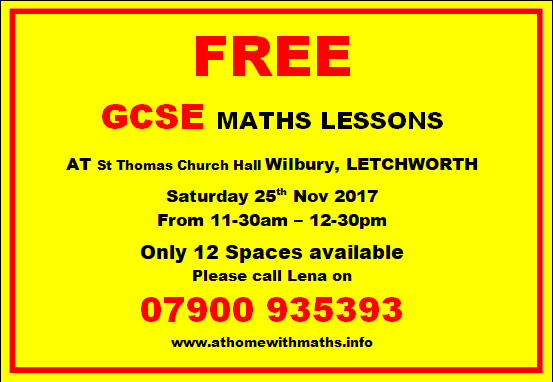 FREE Maths session on 25th November 2017 - contact Lena if you're interested! 4th November cafe - get active, get creative, and mind the pennies! 7th October cafe - yoga, play session, drawing and more! Funding success - new regular activities for the cafe! Great news - from September 2017 we will be able to offer some exciting new activities at our monthly cafe, thanks to funding from the National Lottery Awards for All scheme. We'll be offering relaxing yoga with Jodie Holdway - suitable for all ages and abilities, as well as brilliant play activities for families with Cristina Valencia. Our autumn/winter cafe dates are as follows- see you at Wilbury Hall (behind St Thomas' church, opposite Tesco) for cuppas, cakes and lots of free family fun! From October, our cafes will be the first Saturday of the month - easy to remember! The next cafe at St. Thomas' church will take place on Saturday 22nd July 2017 and the theme will be a Foodie Fair. Do you have a favourite recipe for a cheap and nutritious dish? If so, buy your ingredients, make your dish, and bring along for all to taste. Make sure that you write out your recipe with the prices of all the ingredients and email it to us so we can print it out: wilbury.cafe@gmail.com. We will give you cash for your ingredients at the July Cafe! Free cakes and cuppas, craft activities, seedling swap, pokemon trail, bike surgery and lots more - see you there! Cafe on 22nd April - see you there! March cafe - SAMBA PARTY! Our February cafe has a theme of "Keep warm, keep safe" - you can meet our local Fire Brigade, try out a thermal camera with Transition Town Letchworth, and bring your energy bills for switching advice from the CAB. Meanwhile, the Youth Council are going Minecraft-mad with free books, T-shirts and a competition! And of course we'll have our usual free fun crafts (making tissue paper flowers), stalls, homemade cakes and cuppas. We always welcome new volunteers - cake bakers, knitters, stall helpers, anyone who wants to lead an activity or share a skill... drop us a line! The arts and crafts team are especially keen for extra helpers this year, as we keep thinking of more exciting activities and our table gets more and more popular! Our brilliant cafe returns for January with a special focus on Initiative and Innovation. If you'd like a free table to share/display/sell your hobby or interest, you can pick up a form from a wallet on the postbox of no. 78 Bedford road. Plus special feature: FREE ZUMBA CLASS for all ages and abilities with the fabulous Robert Charles! Wear comfy shoes you can move in. Drinks and cakes are provided for free (as always! ), and you can read more about zumba here. This has been made possible by the generous support of Howard Cottage. And of course we'll have our usual free fun activities and stalls - you can bring your bike for a free check-up from Frank, try Maths Matters with Lena, play board games or join the friendly Wilbury knitters. See you there! Saturday 21st Jan, 10.45 - 12.30, Wilbury Hall (opposite Tesco), Bedford road. Our wonderful Wilbury Community Cafe is in Wilbury Hall (at the back of St Thomas church, Bedford rd) from 10.45 - 11.45 on Saturday 17th December. As well as delicious cakes and cuppas (all free) we'll have free Christmas crafts and activities, stalls, lucky dip, a teddy tombola and gift tombola. Then from noon until 1pm we proudly present our free Wilbury Concert, featuring lots of local talent - don't miss it! Zumba is back in November! We had so much fun trying out zumba at the last cafe that we'll be doing it again in November! The brilliant Robert Charles will be running 2 short sessions - all ages and abilities welcome, and it's completely free! Why not join us? You'll just need to wear comfy shoes you can move in (trainers are good). Drinks and cakes are provided for free (as always! ), and you can read more about zumba here. Saturday 19th November, 11.30am. St Thomas' church hall, Bedford road. Do you live in Wilbury ward? Have you attended our monthly cafe in St Thomas halls, Bedford Road, Letchworth? This community organisation has grown from half a dozen people sitting down one Winter evening and putting their heads together about how Wilbury, lacking a community centre, could nevertheless come together and be more neighbourly. From there our monthly cafe has become a great attraction to young and old alike. Heather Hart is now starting a youth club with a Halloween disco set for Oct 30th. We are now taking names for a Weekly Badminton club in Wilbury School hall. As Chair, I know we have some excellent volunteers but as in normal life, we lose people. Could you help organise or join in? Please explore our website to see a bit more or email me: Sue.lines@ntlworld.com. Exhibition and lunch: Let's speak up on climate change! Lots of Wilbury residents will be going to this exhibition and lunch, organised by Christian Aid - want to join us to quiz our local MP about climate change? See all the details below. Coming soon - FREE ZUMBA! We are thrilled to announce that in October and November we will be offering a FREE ZUMBA CLASS as part of the Wilbury community cafe. The fabulous Robert Charles will be helping us "shake, wiggle and giggle" for fitness and fun! All ages are welcome to take part, and no previous experience is necessary. We'll have two mini classes with a break in-between, so it's a perfect taster session for beginners. You'll just need to wear comfy shoes you can move in (trainers are good). Drinks and cakes are provided for free (of course!). There's lots more info about zumba here. See you on Saturday 15th October and 19th November, 11.30am - tell your friends! St Thomas' church hall, Bedford road. Roll up for the Wilbury Summer Fair! Samba comes to the Wilbury cafe! On Saturday April 16th our cafe has an extra special feature - a visit from the fantastic Garden City Samba band! Members of the group will perform for us, and then we'll have a chance to join in and try out the instruments. Plus, on the craft table we'll be making our own instruments to play and take home. Everyone is welcome, so come along, and tell your friends! 10.45 - 12.30, Wilbury Hall, Bedford road.